as well as counseling and life skills training, to equip homeless and low-income individuals and families to improve their lives and become self-supporting members of society. We did this by selling Korean BBQ at Uni's Clubapalooza event and raised $130!!! With these funds and Chano's donation of his balloon artistry, we were able to throw this awesome party. 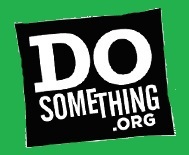 The balloon decorations were an extra that was financed from the Do Something grant (see below). an art program for homeless children. In 2005-2006, 1.5 MILLION CHILDREN experienced homelessness*. Within Orange County alone, there were 22,000 homeless children. With the recent economic downturn, the situation today is even worse. Yet the problem is not visible for many people because these children and families don't look the way many have imagined homelessness looks. So, the Uni Care Project coordinated with the Shelter for the Homeless in Midway City, California to throw the children they serve an AWESOME Easter party on Saturday, April 23rd, 2011. We ran the games; provided the desserts, decorations, and some of the prizes; did face painting; brought in a balloon artist; and brought a whole lot of energy and smiles to make this day a memorable one for kids.